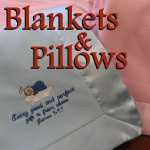 Oh, what a lovely keepsake for a very special child. 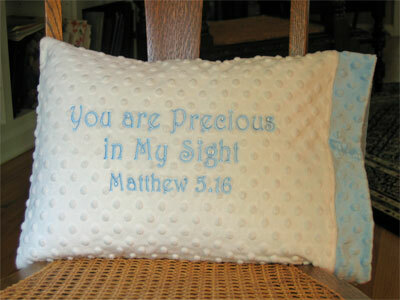 This super soft and velvety plush 12" x 16" minky pillowcase is beautifully embroidered with 'You are precious in My sight' Matthew 5:16. This product has been carefully hand crafted in a smoke-free home, using only the finest materials available, with close attention being paid to every detail. Pillow included!